Every year, the Center for Cognitive Neuroscience (CCSN) and the Department of Psychology at the University of Chicago celebrate Social Psychology with a Donald W. Fiske Distinguished Lecture. 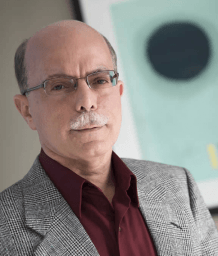 The 2015 Donald W. Fiske Distinguished Lecturer was Prof. M. S. Gazzaniga. Topic: Physical Priming of Psychological States. Dale Miller’s contributions to social psychology are remarkable for their breadth as well as their depth. His early work explored people’s concerns about justice and the implications of these concerns for judgments and behavior. His research has also illuminated a phenomenon known as pluralistic ignorance, which occurs when people believe that their private thoughts and feelings are different from those of others despite the fact that their outward behavior is identical. And he transformed our understanding of the processes by which social norms are constructed and the ways in which they impact thoughts, feelings, and behavior. In particular, Miller developed norm theory, an innovative and generative formulation of the processes by which norms are constructed ad hoc, providing a basis of comparison for events or outcomes. Recently, Miller has examined the antecedents and consequences of a “norm of self interest,” which he has shown has a powerful impact on people’s actions and opinions. Each of these lines of research is characterized by theoretical sophistication, methodological rigor, and a keen appreciation of the nuances of human behavior. 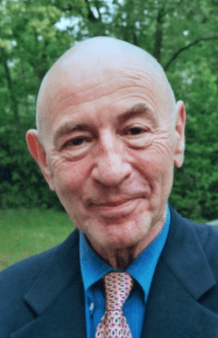 Walter Mischel has made outstanding contributions to personality theory and assessment. His critical analyses of personality trait conceptions and the case he has made for the cross-situational discrimination of behavior have had landmark effects. He has shown that the perception and organization of personality consistencies may depend more on the temporal stability of prototypical features than on the observation of behavioral consistency across dissimilar situations. He has led the way in linking modern cognitive psychology to the study of personality, and his studies on delay of gratification in children have elucidated the psychological mechanisms of self-control. His wit, wisdom, and intellectual prowess have inspired both students and colleagues. 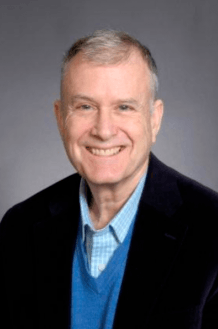 Bob Zajonc’s theoretical and empirical contributions to social psychology are characterized by dazzling versatility and power. From his early series of experiments that resolved the paradox of how thought and action can be enhanced or impaired by the presence of others, through his program of research that established the affective significance of repeated stimulus exposures, to his seminal contributions to our understanding of affective and cognitive systems, Zajonc has demonstrated with humane wit and intellectual rigor that social processes are most profitably analyzed by the concepts and methods of experimental and mathematic psychology. The cogency of his approach is witnessed by the impact of his work, which has been widespread and profound, repeatedly giving new impetus and direction to research on the fundamental problems of social psychology. For outstanding contributions to social psychology and health psychology. Her integrative theories, research, and reviews have opened new fields of endeavor for countless psychologists. Her exceptional contributions in social cognition illuminated salience and vividness effects as well as categorization and stereotyping. Her fundamental contributions to basic social psychology have identified the importance of people’s positive illusions, synthesized social comparison research in natural settings, and documented the asymmetrical impact of positive and negative events. In health psychology, she has brilliantly analyzed people’s responses to intensely stressful negative events and created cognitive adaptation theory. A founder of both social cognition and health psychology, she has shaped these fields for generations to come. 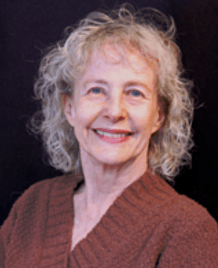 Marilynn Brewer has made path-breaking contributions to our understanding of the self and social identity, inter-group relations, stereotyping and prejudice, and person perception. Traditionally, the self was conceptualized as an individuated construct, the person?s sense of unique identity. Drawing upon cross-cultural perspectives, Brewer developed a theory of the social self, arguing that the personal, relational, and collective levels of self-definition represent distinct forms of self-representation with different origins, sources of self-worth, and social motivations. In her optimal distinctiveness theory, Brewer argued that two fundamental human needs ? social inclusion and distinctiveness ? could be satisfied simultaneously through individuals’ social identities and group memberships. This theory has broadened our understanding of the motivational processes underlying social identification and the importance of social identities for basic human functioning. Through dazzling theoretical analyses and eloquent experimental work, Claude Steele has revolutionized the way social scientists think about prejudice and stereotypes. The human mind organizes knowledge about the world and its inhabitants in terms of the self. Self-evaluation and coping with self-image threat are, therefore, two fundamental operations performed continuously by the human mind. Claude?s theories of interest in these processes led to a general theory of self-affirmation, in which he articulated an underlying and surprisingly powerful motivation by individuals to think and act in ways that make it possible for them to view themselves as rational, honest, and worthwhile beings. Claude then expanded this theory to address how group stereotypes – by posing an extra self-evaluative threat to such groups as African Americans in all academic domains and women in quantitative domains – can influence intellectual performance and academic identities. Dissatisfied with knowledge for knowledge?s sake, Claude has also developed intervention programs to help ameliorate the effects of stereotypes in our schools. A second line of research addresses addictive behaviors, particularly alcohol addiction, where his work with several colleagues has led to a theory of “alcohol myopia.” According to this formulation, many of alcohol’s social and stress-reducing effects – effects that may underlie its addictive capacity – are explained as a consequence of alcohol’s narrowing of perceptual and cognitive functioning. This work, which has forced addiction researchers to consider social as well as biological influences on addiction, has helped revolutionize how addictions are conceptualized, studied, and treated. 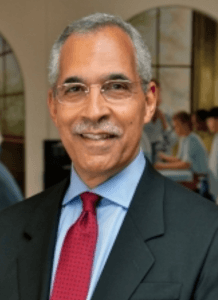 Claude Steele is Professor of Psychology as well as the co-director of the research center for the Program in Comparative Studies in Race and Ethnicity at Stanford University. Before going to Stanford, Claude served on the faculties of the University of Michigan, the University of Washington, and the University of Utah. He received his B.A. degree from Hiram College (Hiram, Ohio) and his Ph.D. degree in psychology from The Ohio State University in 1971. 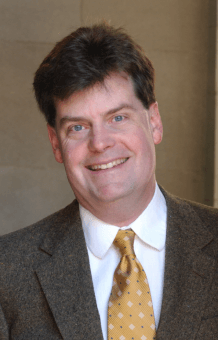 He has served as a member of the Board of Directors of the American Psychological Society and as President of the Western Psychological Association. 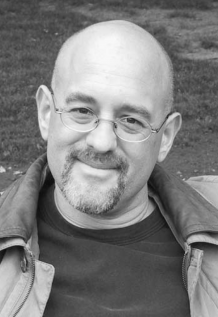 He has also served as Chair of the Executive Committee of the Society of Experimental Social Psychologists, as a member of the Executive Committee of the Society of Personality and Social Psychology (Division of the APA), and on the editorial boards of numerous journals including the Journal of Personality and Social Psychology, Attitudes and Social Cognition, and the Psychological Review. He has also served on study sections at both the National Institute of Mental Health and the National Institute of Alcoholism and Alcohol Abuse. 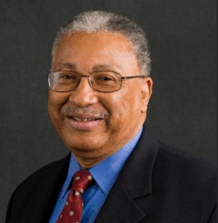 He is a Fellow of the APS and the APA, a member of the American Academy of Arts and Sciences, a member of the Association of Black Psychologists, and is the recipient of a Cattell Faculty Fellowship from the Cattell Foundation and the 1996 Gordon Allport Intergroup Relations Prize. 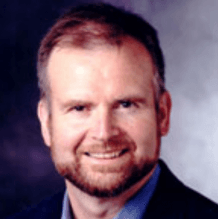 Professor Steele was also a recipient of the 1995 Dean’s Award for Distinguished Teaching at Stanford University. He has been described as a terrific lecturer who holds his students spell-bound and an outstanding advisor who exemplifies the best qualities of a teacher and mentor. Although Claude was never a student at the University of Chicago, his mother was a student here, his father-in-law served on the Board of the Divinity School, and Claude serves on the External Advisory Committee to the University of Chicago?s Social Psychology Program. In his intelligence, intensity, breadth, and eloquence, Claude Steele embodies the life of the mind that we celebrate in the Donald W. Fiske Distinguished Lecturer in 2002. The attitude construct has long been considered the most essential concept in social psychology, as understanding how people form and change their positive or negative evaluations of other people, objects, and issues is essential to understanding everything from personal values and relationships to election outcomes and health behaviors. Not surprisingly, social psychologists view basic research aimed at understanding how attitudes are formed and changed as critical for dealing with some of society’s most pressing national and international problems. Richard’s initial research introduced a methodological innovation to persuasion studies that has now become standard practice in the field. His early research provided support for the then radical idea that the same variable could have opposite effects on persuasion. His theory, called the Elaboration Likelihood Model of persuasion (ELM), holds that persuasion can be thoughtful or not, and importantly it specifies the conditions under which each type of persuasion occurs. The notion that there are both effortful and non-effortful persuasion processes that operate under different but specifiable conditions, a notion that predated distinctions between automatic and controlled processing, provided a long awaited integration of research and theory in the field. Numerous others have adapted this conceptualization to explain a wide variety of other social phenomena. Although less well known is that Richard is something of a contrarian. When attitude change was thought to be mindless, Richard demonstrated the importance of idiosyncratic interpretations and cognitive responses to persuasive appeals. When the field became infatuated with heuristics and biases, Richard demonstrated the conditions under which bias and bias-correction processes each operated. And more recently, as the field has become enamored with implicit attitude processes, Richard has shown the importance of meta-cognitive processes in attitude change. In recognition of Richard?s distinction in the field, he received numerous awards including the Campbell Award (the field?s award for a lifetime of distinguished scientific contribution), the Ohio State Distinguished Scholar Award, and an endowed chair in 1997. It is our pleasure to add to that list by recognizing Richard?s scientific contributions as the Donald W. Fiske Distinguished Lecturer in 2001. The Department of Psychology last year decided to rebuild the Social Psychology Program at The University of Chicago. One of the first decisions made by the Department as part of this rebuilding process was to establish an annual Distinguished Lecture in honor of Donald W. Fiske. 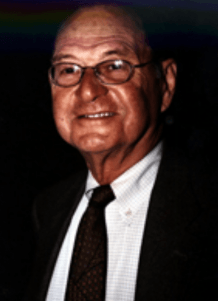 Don Fiske joined the faculty of The University of Chicago almost sixty years ago and made major contributions to the Department and University, the field of social psychology, and the discipline of psychology at large. Once the decision was made to establish this annual distinguished lecture, it was obvious to us all who should serve as the inaugural speaker ? 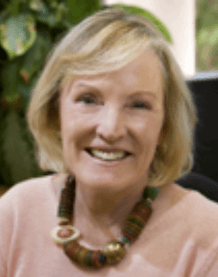 someone who is not only highly distinguished for her own contributions to the field of social psychology and to the discipline of psychology but who has been influenced profoundly by Don and Barbara Fiske. The obvious choice for the inaugural Donald W. Fiske Distinguished Lecturer is, of course, their brilliant daughter, Susan T. Fiske. She has authored over 100 journal articles and book chapters; she has edited 7 books and journal special issues. Her graduate text with Shelley Taylor, Social Cognition (1984; 2nd ed., 1991), defined the sub-field of how people think about and make sense of other people. 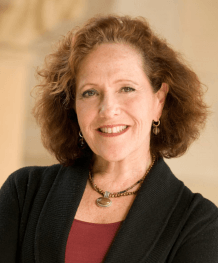 Her research on social cognition has focused on social structure, motivation, and stereotyping, which led to expert testimony cited by the U.S. Supreme Court in a landmark discrimination case in 1984. In 1998, she also testified before President Clinton’s Race Initiative Advisory Board. 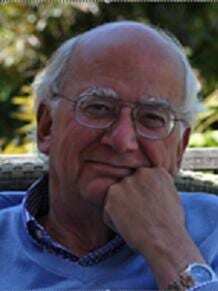 Fiske won the 1991 American Psychological Association Award for Distinguished Contributions to Psychology in the Public Interest, Early Career, in part for the earlier testimony. 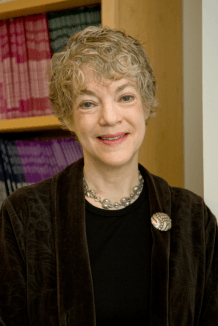 Fiske also won, with Peter Glick, the 1995 Gordon Allport Intergroup Relations Award from the Society for the Psychological Study of Social Issues for work on ambivalent sexism. She was 1994 President of the Society for Personality and Social Psychology, and she received an honorary doctorate from the University Catholique de Louvain, Louvain-la-Neuve, Belgium, in 1995. 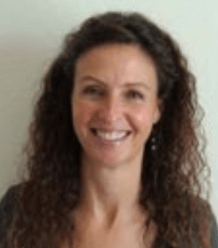 She serves on the boards of Scientific Affairs for the American Psychological Association, the Social Science Research Council, and the Common School in Amherst. 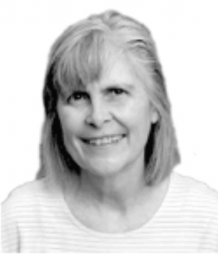 As she notes on her webpage, Susan grew up in a stable, racially integrated neighborhood here in Hyde Park and still wonders why more of the world isn’t like that. It is our pleasure to recognize both Donald and Susan Fiske for outstanding scientific contributions in this, the inaugural Donald W. Fiske Distinguished Lecture.